Joyce M. Balcom passed away June 29, 2018 in Eastern Niagara Hospital. Born May 16, 1948 in Lockport she was the daughter of August and Nellie (DeVoe) Raetz. Joyce worked at Briarwood Manor where she was a CAN for 15 years. She was a member of Lockport United Church of Christ in Lockport and enjoyed reading, walking, and spending time with her grandchildren and great grandchildren. 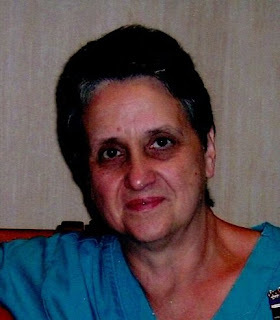 Joyce was predeceased by her daughter Rita Balcom and grandson David Draper. Joyce is survived by her two daughters Tammy (Jeff) Miller and Theresa (Glenn) Draper; grandchildren Elizabeth, Eric, Morgan, James, Nicholas, Tiffany, Rosemary, Joyce, great grandchildren Noah, London, Javaris Janiyaha, Wesley Jr., Brooklyn, Nathan; siblings Carl Raetz and LuAnn (Mark) Ludington; several nieces and nephews. No prior visitation. Relatives and friends are invited to a memorial service Saturday, July 7th at 1 PM in Prudden & Kandt Funeral Home, 242 Genesee St., Lockport.